TYPE 1² Squared . The new experience of Time - more intuitive, more functional, more playful, more pure. While remaining faithful to the DNA of RESSENCE, the TYPE 1² differs distinctly from the rest of the collection in its design. Born from the intersection of 6 spheres, it has an elegant cushion shape case. The case of the TYPE 1² is thinner due to the absence of the sapphire case back acting as a crown. Instead, there is a small retractable lever, the handling of which adds a new visual and physical effect. When setting the time, the rotation of the lever corresponds exactly to the movement of the discs on the dial in a ratio of 1 to 1. An up-to-date reminder of the key once used to wind clocks, watches and mechanical toys. Our watches are designed from the outside to the inside. Although strikingly innovative, the technologies implemented are relegated behind the scenes. 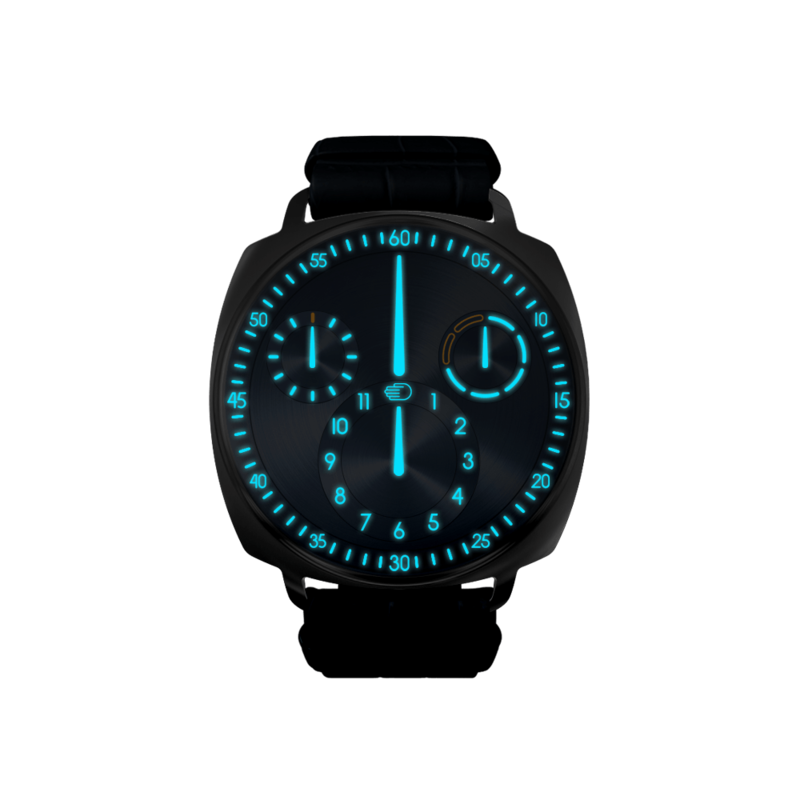 What is more important is the user experience on looking at a watch that seems to project the temporal indications onto the glass. Its mono-surface dial is composed of discs and rings adjusted to the micron. Exit the physical hands. They are replaced by graphical lines in order to reproduce the angles through which we are accustomed to reading the time. All RESSENCE watches share the same inimitable DNA. The main dial, as well as the auxiliary dials, revolve continuously, behaving like moons around a planet. This means that the face of the watch changes continuously - which is the essence of Time. 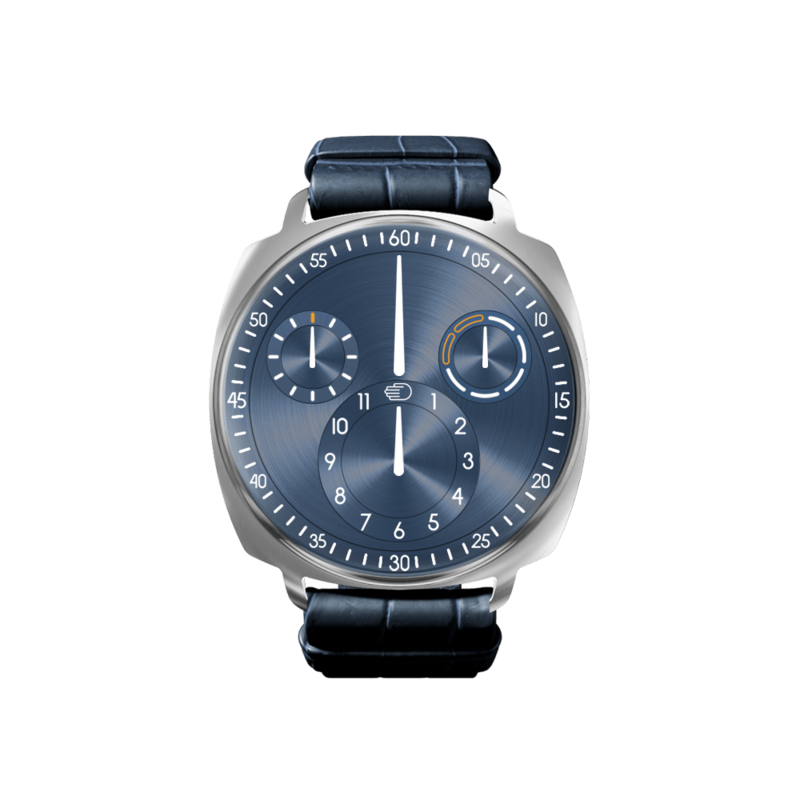 Unlike the other RESSENCE watches, the TYPE 1² is not made of Grade 5 Titanium. Its case is in polished 316 L stainless steel, with a satin finish back. Thinner and smaller, it plays the mix with proposals of exclusive straps for both men and women. We believe that displaying the time is essential to a watch. The readability of the TYPE 1² is therefore as simple and efficient during the day as during the night thanks to extra strong Superluminova.